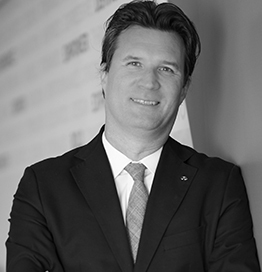 Markus Leithe is the Managing Director of INFINITI Middle East and is in charge of driving leadership and market share in the region. Leithe brings 20 years of international experience across Europe and the Middle East in the automotive industry with roles in Sales, Marketing, Product Planning and Business Planning at headquarters and with national sales companies and importers. Prior to his role at INFINITI Middle East, he served as the Managing Director for Middle East Commercial Operations at General Motors Company since July 2015. Markus has a Master of Science (M.Sc) in International Business/Trade/Commerce from Wirtschafts University, Vienna.